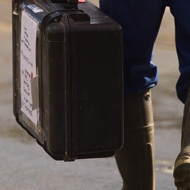 ChemWaste is a leader in liquid and solid waste treatment and disposal services. ChemWaste was formed in January 1996 and became part of EnviroWaste Services Limited in 2008. Both ChemWaste and EnviroWaste Services Limited are part of the Enviro (NZ) Limited group of businesses. Over our history, increasing demand for environmental services and new project developments have driven ongoing growth and expansion of our business. 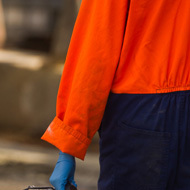 ChemWaste specialises in tailored waste disposal solutions and we understand each customer has varying needs based around risk management, health and safety, service and cost. We are readily available to our customers and pride ourselves on our ability to provide a high level of service. ChemWaste is strategically located with specialist facilities in Auckland, and Christchurch. Support facilities in Hamilton, Tauranga, Bay of Plenty, Wellington and Nelson, coupled with strong industry relationships, mean we are capable of servicing any requirement from Cape Reinga to Bluff.